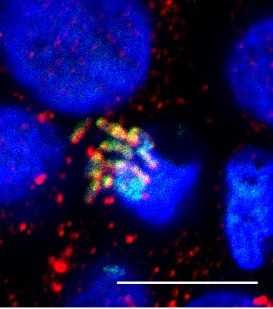 An interdisciplinary team of researchers led by Dr Ioannis Nezis from the School of Life Sciences, University of Warwick, and Dr Tamas Korscmaros from Earlham Institute and Quadram Institute, Norwich, UK screened the proteome from 56 pathogenic bacterial species - to see how autophagy reacts with them. Dr Ioannis Nezis commented: "Our systems-level analysis has highlighted the complex interplay between host autophagy and bacteria to inspire future experimental studies to elucidate the detailed molecular mechanisms of autophagy in the pathogenesis of bacterial infections. "With drug resistance being on the rise worldwide, bacterial infections pose one of the greatest global threats to human health. Using activators of autophagy with antibiotics, as antibiotic resistance breakers, would be a very promising way to fight bacterial infections"